The delegation of the department of Social development with the minister briefed the committee on the National Disability Policy. The policy has been approved by the cabinet and since then the department had been working on its implementation. It has organised road shows and working towards its domestication. It is also working towards developing frameworks that will address issues like accommodation for persons with disability. Members welcomed the policy. They appreciated the department for the work it is doing with regards it disabled persons. They have expressed concern over the rate at which SASSA doctors turn people away because their medical letters are not form SASSA doctor. They also asked that the pilot program in KZN be replicated in the other provinces. The chairperson of the committee also said that mainstreaming in schools should be encouraged. Members adopted the BRRR with minor amendments and the meeting was adjourned. 2. Protecting the rights of persons at risk of compounded marginalisation. • Freedom from torture or cruel treatment. The coordinating mechanism include national government departments, national disability organisations, institutions promoting democracy, UN agencies, traditional leadership institution, SALGA, national public entities, parliament, other business, research and labour. Mr Benny Palime in the Advocacy and Mainstreaming, spoke on the implementation approach with regards to the white paper. There have been road shows in provinces both at the executive council level and official level (training officials in the centre to understand the policy). The road show happened at four provinces but the department is going back to KZN for a project that relates to children in the ECD centres. The department will be moving into Free State on the 15th of November, the process will continue. The department is moving quickly into the domestication of the policy. The difficulty is that when the policy is siting somewhere on a shelf, and an official feels it is an unfunded mandate, it may gather dust. To avoid that, the department has decided that every other department must start drafting new laws or regulations. The department is also dealing with the regulation of the Promotion of Equality and Prevention of Unfair Discrimination Amendment Act. The department is actually looking at sec 28 of the Act is itself which talks about measures on disability. There may be need for cross cutting legislation and making of new laws where necessary. There is also a process of the non-financial data training which is taking place in the provinces. The pilot that is running in KZN is for ECD centres, most parents start their own day care with care givers who may not be adequately trained to understand the process. So in KZN the caregivers are undergoing training currently and also social workers have been put on board. Social workers are responding positively to the policy with the training they have undergone. The department is moving towards domestication process in terms of saying, what are the regulations that need to be done almost immediately. 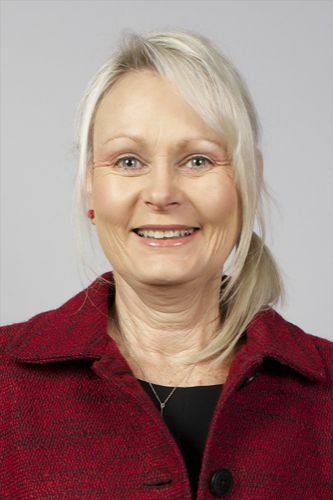 In the Social Development department for example, it has started with the Social Assistance Act and also looking at social assistance separately as a package of social protection. This include the Compensation for Occupational Injuries and Diseases Act (COIDA), Road Accident Fund and Unemployment Insurance Fund (UIF). The department is also developing 2 huge frameworks which will be presented to the committee in due course. The first is reasonable accommodation tool and the other is national strategic framework on accessibility and universal design. Reasonable accommodation covers all aspects of life of persons with disability. The department is planning on siting on different ministerial committees of different departments. This process is normally done through the permission of the director generals of the departments and other relevant ministers. The department has also finished its policy on higher education and training with the funding model in relation with disability. The department is sitting on the Copyright Act which has been completed. The Act has gone through the normal processes. It is also siting on basic education ministerial committee for example section 12 and 13 of the South African Schools Act. All the work being is an alignment to the white paper. Mr Toni said that earlier the department spoke about the 2%, now the national social development plan is to eliminate poverty and reduce inequality by 2030. Equality for persons with disability must be prioritised. The chairperson appreciated the department for its presentation and the work it is doing for and with persons with disability. There is more to be done with parents of children with disability, who have guilty feelings or are afraid. The issue of mainstreaming was taken as a resolution in Mafikeng but today there is more demand in various provinces for more centres of education for persons with disability. Current schools should have been revamped to allow these persons to come in. It will bring togetherness. Disintegration in this regard should not be encouraged. Disability should be treated to the point that it does not exist anymore, every effort must be done to correct disability when it first happened and can be corrected. Ms BL Abrahams (ANC) also appreciated the department. Disability requires enough money for one to buy what he or she needs but part of it is covered in the white paper. This is commendable. However, what are the tools used in monitoring and evaluation of the implementation of pillar one? What is the qualifying criteria for access to grants of persons with disability? How can the age limit of 35 years be removed for disabled people to qualify in getting jobs? There should be no limit and end time for rehabilitation process, it should be easily accessible and there should be no waiting list for that. Personal assistants or aids of persons with disability should be paid. Persons with disability should be helped in all regard. Equality should be all. Ms BS Masango (DA) also thanked the department for the presentation. The NGOs that work with persons with disability, in the tracking and referral system will they be in the DSD column? These NGOs do a lot of work in the disability sector. There is a particular NGO that takes children out of special schools and put them in mainstream and demand that the school be built in such a way that the children will be accommodated. There is a notion that children with disability are less likely to be adopted. There is also a complaint of people who become disabled by reason of diabetes but are denied examination and grant by SASSA doctors on the ground that they don’t qualify. Ms ER Wilson (DA) thanked the department for the presentation. It is encouraging to hear that so much are being done for children with disability to integrate them into the mainstreaming from the onset. In the rural areas, there are adults who are severely impaired and challenged. The department has been wonderful in giving these people wheel chairs but not everywhere can be accessed with wheel chairs. This means that the wheel chair is not the answer. Some of them do not have toilets in the house, no access to water and sanitation. Some of these people are alone/independent. More needs to be done in this instance. The inability of SASSA doctors to give grants to children with disability because they have referral letter from doctors that are not from SASSA especially in Limpopo should be looked into. MS HH Malgas (ANC) said that the ruling party should also be thanked because mainstreaming of disability was one of its resolution of Mafikeng. With big business what monitoring mechanism does the department have in place to make sure that they have 2% of disabled persons in their business. When can the committee expect legislation on the policy? Mr SP Mabilo (ANC) appreciated the department for its presentation. There has been tremendous development in making sure that disabled persons are well taken care of. Are there plans to roll out similar pilot programs of capacity to other provinces? If not, that should be deeply encouraged. The role clarification for departments and parliament is well outlined. The department will play its strong role. The department has a robust approach to implementation and that should be encouraged. MS NP Sonti (EFF) spoke in vernacular. Ms SP Tsoleli (ANC) also thanked the department. What is the right terminology to describe persons living with disability? In many spheres they are called different names like in education they are called learners with special needs. Do provinces have monitoring and evaluation unit as it is in national. Pilot programs should be taken to other provinces. Schools should be more equipped with resources to help the disabled persons. Will the department be available when the committee request it to come and present their work or the policy for example during its constituency work? 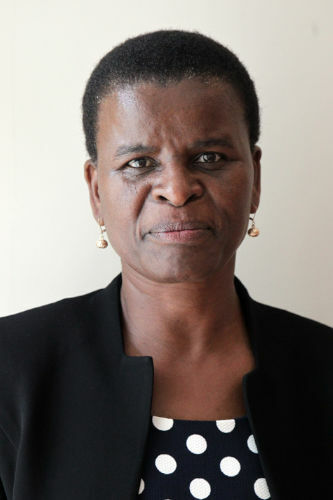 Ms BO Dlamini the Minister of the department said that the department has been trying to look for an institution in Kimberley Northern Cape, it is one of the institutions in the country for severely disabled children. The institution has their programs for severely disabled, and challenged children. Most of the time there are categories that can be inputted in the programs of the department. people with disability are not homogenous. Immediately after the launch of the policy there was an outcry for a meeting of where the issues of disability should be located whether in the presidency or the department. the department deals on implementation and policy development. The only part that should go to the president is making sure that other departments implement disability policy. This is because it is not within the powers of the department to call and ask other departments to account in this regard. The committee should invite other departments to know what they are doing with regards to disabled persons. The deputy minister is on rad show in all provinces to check progress in terms of the implementation of the policy. There will be engagements/dialogue with parents of these children who hide their children. The department is working towards strengthening its work around the issues of follow up with regards to women or parents who gave birth to disabled children. They have the support in hospital sometimes it ends there hence the strengthening through monitoring. The department will not be relying on report only but will engage with the people. The department is working with treasury to absolve social workers who have not yet be absolved. There is home based care for people that stay on their own. The department of human settlement will be provided with the register of persons with disability so that when building houses, the department will make theirs accessible for them. There is a school in Umhlanga where there is integration and mainstreaming. In this school the students understand sign language. White paper review on welfare is finished and the department is working on the Act. The minister thanked the committee for accepting the policy. Ms Wilson asked with whom are the home based carers and where can one get the information. Who can be complained to in cases or matters already mentioned. Mr Toni on terminology said the department is embracing the domestication of the UN convention and will be using the terminology persons with disability. In south Africa they are called disable people. That barrier from the environment is what the department is working on removing. The best terminology will be documented and shared with members of parliament. On the replication of pilot programs to other provinces, provinces want to be given a template to guide them properly hence the need for the pilot at KZN so that these provinces can be helped properly to implement. On the role of big business, it is the department of labour that has that responsibility. It makes sure that the big business implements employment equity plans. On the issue of rehabilitation, there is an example in Mpumalanga where community. Officials were there to help, visit people and make sure that peer groups are set up. Independent living program is in progress where disable people come together as group and discuss what they need. Mr Palime said that the basic legislation of the department starts with section 10 and 28 of the Promotion of Equality and Prevention of Unfair Discrimination Act as amended number 52 of 2002. This sections talks to special measures with regards to persons with disability. Another aspect is to domesticate. With regards to children with cerebral palsy, the department has looked at section 12, 13 and 42 of the South African Schools Act to say that in terms of children who experience learning barriers to learning. They are put in school through screening identification assessment and support policy. They fall under pillar number two. Mr Thabani Buthelezi, Chief Director: Monitoring and Evaluation on the KZN matter said that in preparation for the visit of the deputy president’s last year for the World’s Aids Day, DSD did its usual community profiling. During this profiling here was an identification of a school for children with disability that were being put as if there are boarding or burdened in that space. When DSD visited the school it discovered that it had many challenges from the admin to the fact that there were no programs for the children. the deputy was then asked to accompany the deputy president with regards to the visit. Hence the initiation of that programme in KZN. It was on that note as part of the visit held at the South Kwazulu natal. Mr Mabilo said the last information from Mr Thabani must be kept on record. When there is a program in one province there will always be question if there is plan for other provinces. The question is never why that one province. Mr Toni said that nothing stops someone from getting a job as a disabled person. However, the department will be willing to follow in terms of what is the real problem. Ms Tsoleli asked if the DSD have or know where people with cerebral palsy can be placed. Mr Palime said that there are protective workshops where they are placed. Ms Wilson said that those denied grants are turned away because their letter is not from SASSA doctor. Ms Abrahams asked questions on the grant in aid where a person cannot take care of his/herself but the grant is not approved, why is that. 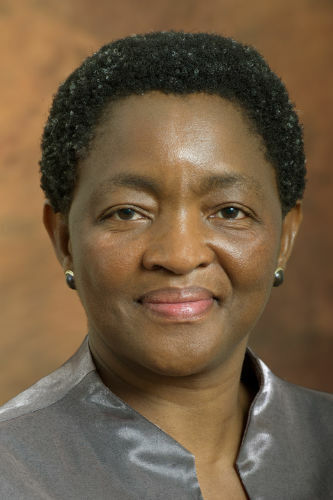 Ms Dlamini said that the tyranny exhibited by the SASSA doctors will be checked. Communities are being mobilised to apply for grant in aid. Ms Tsoleli said that the issue should be brought to the committee. people don’t know about the gran in aid, parliamentarians should help in this regard by talking to and engaging with its constituencies about all the grants. Ms Dlamini said that some of the programs do not need legislation but institutionalisation. The BRRR was moved for adoption by Ma Abrahams and seconded by Mr Mabilo. The report was adopted with minor amendments.